You are invited to come and meet other InterNations and Hamburg newbies In our upcoming NewComers event at Christiansen's Bar. 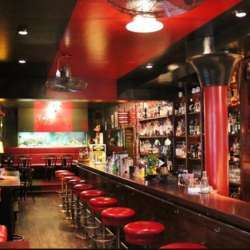 Christiansen's Bar ist located very close to Hamburgs fish Market. Just about a five minute walk to S-Reeperbahn if you choose to take the S-Bahn.